George Burns won his Supporting Oscar for playing the retired vaudevillian who's making an appearance on television with his former partner. George Burns was an American vaudeville comedian, actor, writer and producer who was born in New York City, New York, on January 20th, 1896.Both of his parents were Jewish immigrants from Romania He was the nineth child out of twelve children. His father was a coal presser, and sang as the cantor at the First Romanian-American Jewish Congregation. Burns' birth name was Nathan Birnbaum. For his stage name, He was inspired by two major league baseball players, both named George Burns. 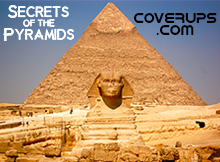 Plus, his brother Izzy called himself George, and the Burns Brothers Coal Company was the source of borrowed lumps of coal to keep the Birnbaum family warm. George dropped out of school in fourth grade due to economic reasons, because his father died at 47 from the flu. George began working early at the age of 8;shining shoes, selling papers, running errands, working as a syrup maker, which led to his beginning gigs. After forming a kid singing group with his fellow syrup makers, called the Pee Wee Quartet, they began singing in saloons on ferry boats, in brothels and on street corners for pennies. AT 13, he was teaching immigrants just off the boat from Ellis Island how to dance, because he had told them it was a mandatory skill to become an American. George also started to perform in vaudeville in New York and New Jersey. That is where he eventually met his beloved Gracie. They developed an act together, and were well-established, seasoned vaudevillians in the 1920's, by the time they decided to tie the knot. They gained distinction as a comedy pair, George Burns playing straight man to Gracie's scatterbrained zaniness. George and Gracie were married since January 7th, 1926, until her death in 1964 from a heart attack. They adopted two children: Sandra;(1934) AND Ronnie;(1935). 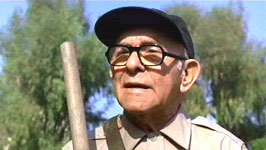 George Burns was best friends with fellow comedian Jack Benny. Benny also served as Burns' best man at his wedding to Gracie Allen. Jack Benny and George Burns were also in COLLEGE HOLIDAY together. The pair started working in films after the advent of sound in pictures and started recreating their popular stage acts in film shorts. 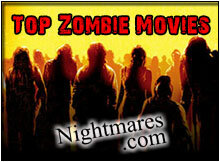 Around 1930 they signed a contract with paramount to do support comedy in the studio's musicals and comedies. 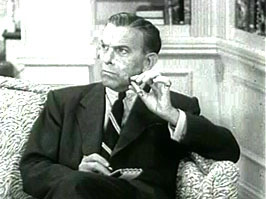 From 1950-58 they had "The George Burns and Gracie Allen Show" on CBS. 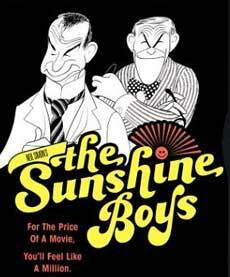 After Gracie Allen's death in 1964, Burns disappeared from films until making THE SUNSHINE BOYS in 1975, for which he won his Oscar. George Burns remained active in the public eye and in the entertainment business until his death in 1996, soon after his 100th birthday. 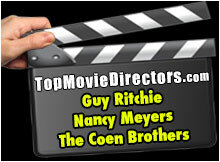 He was awarded 3 Stars on the Hollywood Walk of Fame for Live Theatre at 6672 Hollywood Boulevard; for Motion Pictures at 1639 Vine Street; and for Television at 6510 Hollywood Boulevard in Hollywood, California. "Fall in love with what you do for a living. I don't care what it is. 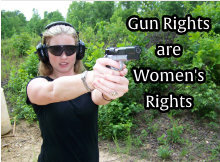 It works." He died on March 9, 1996 in Beverly Hills, California. 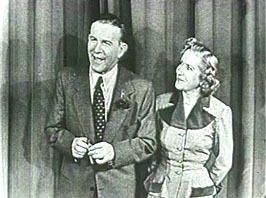 George with Gracie Allen in the BURNS & ALLEN television show (circa 1950s). 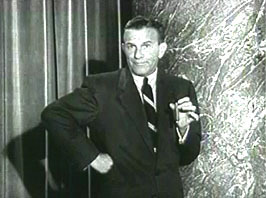 George Burns in RADIOLAND MURDERS. 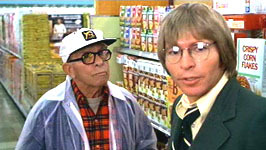 George Burns with John Denver in OH, GOD! (1977).